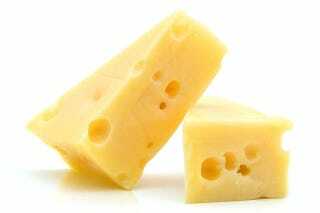 As the country's largest producer of cheese, Wisconsin is also the country's largest producer of cheese waste. But why think of that as a bad thing? In the hands of some enterprising Wisconsinites, what was once wastewater is now electricity. This is, after all, the same state that's using salty cheese brine to de-ice its roads. Water used to wash out whey and milk from cheese factory equipment is full of nutrients—too full of nutrients, in fact. The wastewater had long been sprayed onto nearby farms as fertilizer, but its runoff—rich in phosphorous and nitrogen—was causing algae blooms in nearby lakes. A trio of cheese industry veterans had the idea of channeling the nutrients into biogas reactors. Instead of feeding disastrous algae blooms, cheese waste could feed microbes that produce energy and feed back into the grid. GreenWhey Energy in Turtle Lake, Wisconsin now has a 4 million gallon tank full of microbes and cheese wastewater. Their plant has been ramping up since August, and it now runs at about half capacity. Eventually, the plant should be able to turn 500,000 gallons of wastewater a day into methane, burned to power 3,000 homes.